The natural next step after the Person-Centred NLP Practitioner course is our Master course. Our master program is unique in focusing on the main issues clients bring into a therapeutic practice, and how to work realistically with them. We’ll explore the most common therapeutic patterns such as depression, self-esteem issues, anxiety, trauma and abuse as well as learning how to enhance the mind-body connection in relation to health. Upon graduating from this program you’ll have all the tools, the confidence and experience to work as a highly skilled Person-Centred Integrative NLP therapist and hypnotherapist. Please note this course is only available for students having graduated from the Person-Centred Integrative NLP and Hypnotherapy course (level 3). Why become a Master Practitioner? 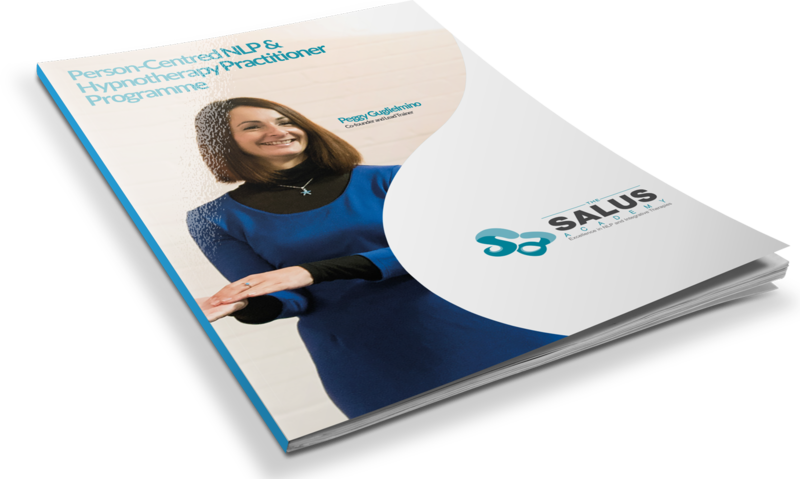 Most practitioners in this field hold both qualifications, practitioners and master practitioner, therefore if you want to be competitive on the market and build a successful practice, you will benefit from holding both diploma. The content of the Masters will allow you to work with a wide range of issues that most clients who seek help will face. Peggy is the course lead on our NLP & Hypnotherapy course and through 12 days of transformational training she’ll take you on a wonderful journey of exploration, discovery and learning. A highly experienced therapist using NLP, hypnotherapy and coaching tools to help people overcome issues such as depression, low self esteem and anxiety, Peggy has also spent the last eight years helping people recover from chronic illnesses using NLP techniques and has developed a strong interest in working with chronic immune disorders. In your opening module you will discover the power of our beliefs on our unconscious mind and will explore how to identify those beliefs. You will discover how to spot unconscious incongruence in your clients and learn two very powerful processes to start changing core beliefs at the unconscious level. Covered in this module Reimprinting, Core-Transformation, Congruence of beliefs and Sleight of mouth processes. In this module we are going to explore some of the main issues clients often experience. We will identify the psychological structure behind those issues as well as the NLP and Hypnotherapy processes that you could use to tackle those ailments. Covered in this module: working with self-worth, self-esteem, self-confidence and self-love, exploring the patterns of depression, learning to tackle anxiety and panic attacks, handling grief and smoking cessation. You will learn clean language, advanced CBT techniques as well as some advanced NLP/H processes. We are continuing to explore systematically different types of issues brought in by clients and learning new processes as well as utilising the ones we already know to work on those main ailments. Covered in this module: How to work with abuse and trauma, Gestalt chair work, Journey to forgiveness, fertility issues, introduction to hypnobirthing, Brandon Bays’ emotional Journey as well as Peggy’s New memory booster process. The mind body connection is an essential part of being a Hypnotherapist and as such deserves a lot of attention. In this weekend we are going to explore the main physical ailments that can be helped with NLP/H and identify the best ways to work on them. Covered in this module: psychoneuro-immunology, working with chronic pain and chronic illnesses such as cancer, HIV, M.E. Also covered an introduction to Holistic healing and alternative therapies. Including the work of Brandon Bays, Paul McKenna, Louise Hay, David Hamilton and Lissa Rankin. In your final module you’re going to discover the hidden unhealthy patterns of relationships by exploring co-dependency. Co-dependency sums up most dysfunctional behaviours and patterns in our ways to relate to others and can be efficiently tackled with coaching, NLP and Hypnotherapy. Covered in this module: detailed patterns of codependency in relation to the self and others, and different therapeutic interventions to tackle them. Also covered “the next steps” on how to build a successful practice and different tips on being a healthy and successful therapist. Our Discovery Experience offers a relaxed, intimate and exploratory space for you to meet us and explore our specific approach to NLP and Hypnotherapy. You’ll look beyond the more typical surface-level view of NLP that is often presented to see how our person-centred approach enables people to reconnect to a deeper level with themselves and eliminate blockages that have been hindering them for years. The Discovery Experience takes place in a small group to enable questions and to get to grips with the core concepts of NLP and Hypnotherapy. It’s also a great way to see if our values of person-centred and core transformational work align with your own views and feelings of how you want to be as an NLP practitioner and Hypnotherapist. Why not join us to find out more.